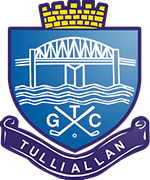 Visitors and Visiting Parties are welcome at Tulliallan Golf Club on any day of the week all through the year. For all your visitor or visiting party enquiries, please contact our PGA Professional Stuart Roberts to reserve a tee time or download our booking form and post back. Book a 2-ball and a buggy for only £50! Available every Monday & Tuesday after 1.00 p.m. until the end of September. Offer subject to buggy availability. Call the Pro Shop to book on 01259 730798.